Chemical skin peels and other skin treatments have been performed for many years to treat a variety of skin disorders. 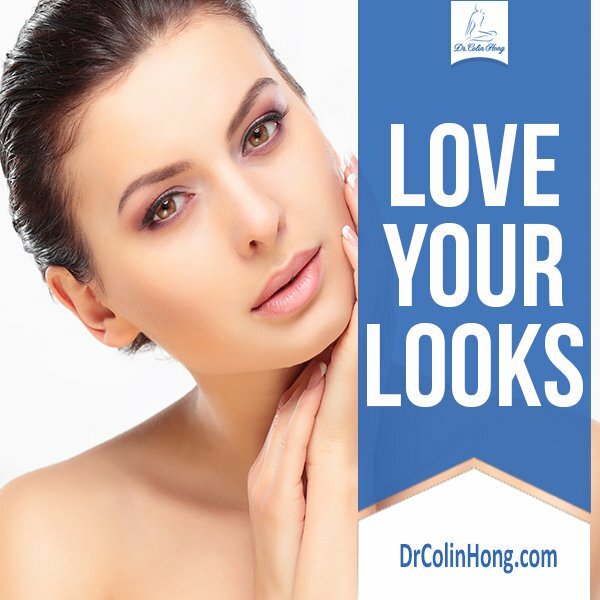 Conditions such as sun damage, wrinkling, and uneven pigmentation may be treated with these non-invasive techniques. There are many different techniques and regimens for the application of chemical-peeling and skin treatment medications. In some situations, chemical peels may be performed at the time of other surgical procedures. Chemical skin peels and other skin treatment procedures are not an alternative to skin tightening surgery when indicated. Alternative forms of management include not treating the skin with chemical-peeling agents or other medications. Improvement of skin lesions and skin wrinkles may be accomplished by other treatments such as dermabrasion, laser treatment, or surgery to tighten loose skin. Risks and potential complications are associated with alternative forms of treatment. Every procedure involves a certain amount of risk and it is important that you understand these risks and the possible complications associated with them. In addition, every procedure has limitations. An individual’s choice to undergo a procedure is based on the comparison of the risk to potential benefit. Although the majority of patients do not experience these complications, you should discuss each of them with your plastic surgeon to make sure you understand all possible consequences of chemical skin-peeling and other forms of skin treatment. Infection: Although infection following chemical skin peels is unusual, bacterial, fungal, and viral infections can occur. Herpes simplex virus infections around the mouth can occur /reoccur following a chemical peel. This applies to both individuals with a history of Herpes simplex virus infections and individuals with no known history of Herpessimplex virus infections in the mouth area. Specific medications must be prescribed and taken both prior to and following the procedure in order to suppress an infection from this virus. Should an infection occur, additional treatment including antibiotics, hospitalization, or additional surgery may be necessary. It is important to tell your surgeon of any other infections, such as ingrown toenail, insect bite, or urinary tract infection. Remote infections, infections in other parts of the body, may lead to an infection in the operated area. Scarring: Although good wound healing after a procedure is expected, abnormal scars may occur within the skin and deeper tissues. In rare cases, keloid scars may result. Scars may be unattractive and of different color than the surrounding skin tone. Scar appearance may also vary within the same scar. Scars may be asymmetrical (appear different on the right and left side of the body). There is the possibility of visible marks in the skin from sutures. In some cases scars may require surgical revision or treatment. Color Change: Chemical-peeling agents can permanently lighten the natural color of your skin. There is the possibility of irregular color variations within the skin including areas that are both lighter and darker. Permanent darkening of skin has occurred after chemical peels. A line of demarcation between normal skin and skin treated with chemical peeling agent can occur. Redness after a chemical peel may persist for unacceptably long periods of time. Accutane (Isotretinoin): Accutane is a prescription medication used to treat certain skin diseases. If you have ever taken Accutane, you should discuss this with your surgeon. This drug may impair the ability of skin to heal following treatments or surgery for a variable amount of time even after the patient has ceased taking it. Individuals who have taken this drug are advised to allow their skin adequate time to recover from Accutane before undergoing skin treatment procedures. Allergic Reactions: In rare cases, allergies have been reported to drugs and agents used for chemical-peeling or skin treatments, tape, suture materials and glues, blood products, topical preparations, and preservatives used in cosmetics. Serious systemic reactions including shock (anaphylaxis) may occur to drugs used during surgery and prescription medications. Allergic reactions may require additional treatment. Lack of Permanent Results: Chemical peel or other skin treatments may not completely improve or prevent future skin disorders, lesions, or wrinkles. 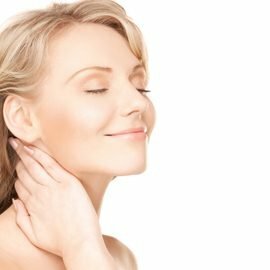 No technique can reverse the signs of skin aging. Additional surgical procedures may be necessary to further tighten loose skin. You may be required to continue with a skin care maintenance program after a chemical-peel procedure. Heart Problems: Chemical-peeling preparations containg phenol have been reported to produce abnormal heart beats that may require medical treatment should they occur during the procedure. This is a potentially serious problem. Skin Discoloration / Swelling: Some swelling normally occurs following a chemical skin peel. The skin in or near the procedure site can appear either lighter or darker than surrounding skin. Although uncommon, swelling and skin discoloration may persist for long periods and, in rare situations, may be permanent. Skin Sensitivity: Itching, tenderness, or exaggerated responses to hot or cold temperatures may occur. Usually this resolves during healing, but in rare situations it may be chronic. 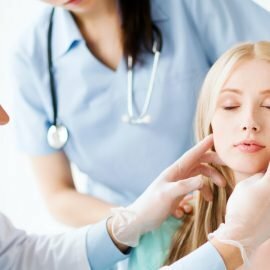 Damaged Skin: Skin that has been previously treated with chemical peels or dermabrasion, or damaged by burns, electrolysis (hair removal treatments), or radiation therapy may heal abnormally or slowly following treatment by lasers or other surgical techniques. The occurrence of this is not predictable. Additional treatment may be necessary. If you have ever had such treatments, you should inform your surgeon. Surgical Anesthesia: Both local and general anesthesia involve risk. There is the possibility of complications, injury, and even death from all forms of surgical anesthesia and sedation. Pain: You will experience pain after your treatment. Pain of varying intensity and duration may occur and persist after surgery. Very infrequently, chronic pain may occur after chemical peel procedures. Unknown Risks: There is the possibility that additional risk factors of chemical skin peels and skin treatments may be discovered. There are many devices, medications and injectable fillers and botulinum toxins that are approved for specific use by the FDA, but this proposed use is “Off-Label”, that is not specifically approved by the FDA. It is important that you understand this proposed use is not experimental and your physician believe it to be safe and effective. Examples of commonly accepted “Off-Label” use of drugs or devices include the use of aspirin for prevention of heart disease, retinoids for skin care, and injection of botulinum toxin for wrinkles around the eyes. ____ I acknowledge that I have been informed about the Off-Label FDA status of ________________________, and I understand it is not experimental and accept its use. Long-Term Results: Subsequent alterations in appearance may occur as the result of aging, weight loss or gain, sun exposure, pregnancy, menopause, or other circumstances not related to skin treatments. Skin peels do not arrest the aging process or produce permanent tightening of the skin. Future surgery or other treatments may be necessary to maintain you results. Skin Lesion Recurrence: Skin lesions can recur after a chemical peel or skin treatments. Additional treatment or secondary surgery may be necessary. Skin Cancer / Skin Disorders: Skin peels and skin treatment procedures do not offer protection against developing skin cancer or skin disorders in the future. Body-Piercing Procedures: Individuals who currently wear body-piercing jewelry in the treated region are advised that an infection could develop from this activity. There are many variable conditions which influence the long term result of chemical skin-peeling and other skin treatments. Even though risks and complications occur infrequently, the risks cited are the ones that are particularly associated with these procedures. Other complications and risks can occur but are even more uncommon. Should complications occur, additional surgery or other treatments may be necessary. The practice of medicine and surgery is not an exact science. Although good results are expected, there is no guarantee or warranty expressed or implied, on the results that may be obtained. Follow all physician instructions carefully; this is essential for the success of your outcome. Postoperative instructions concerning appropriate restriction of activity, use of dressings, and use of sun protection must be followed in order to avoid potential complications, increased pain, and unsatisfactory result. Your physician may recommend that you utilize a long-term skin care program to enhance healing following a chemical skin peel. Successful post-operative function depends on both treatment and subsequent care. Physical activity that increases your pulse or heart rate may cause bruising, swelling, fluid accumulation and the need for return to surgery. It is wise to refrain from intimate physical activities after surgery until your physician states it is safe. It is important that you participate in follow-up care, return for aftercare, and promote your recovery after surgery. Most health insurance companies exclude coverage for cosmetic surgical procedures such as chemical peels or skin treatments or any complications that might occur from the procedure. Please carefully review your health insurance subscriber-information pamphlet or contact your insurance company for a detailed explanation of their policies. Most insurance plans exclude coverage for secondary or revisionary surgery. The cost of your procedure involves several charges for the services provided. The total includes fees charged by your surgeon, the cost of surgical supplies, anesthesia, laboratory tests, and possible outpatient hospital charges, depending on where the surgery is performed. Depending on whether the cost of surgery is covered by an insurance plan, you will be responsible for necessary co-payments, deductibles, and charges not covered. The fees charged for this procedure do not include any potential future costs for additional procedures that you elect to have or require in order to revise, optimize, or complete your outcome. Additional costs may occur should complications develop from the surgery. Secondary surgery or hospital day-surgery charges involved with revision surgery will also be your responsibility. In signing the consent for this surgery/procedure, you acknowledge that you have been informed about its risks and consequences and accept responsibility for the clinical decisions that were made along with the financial costs of all future treatments.